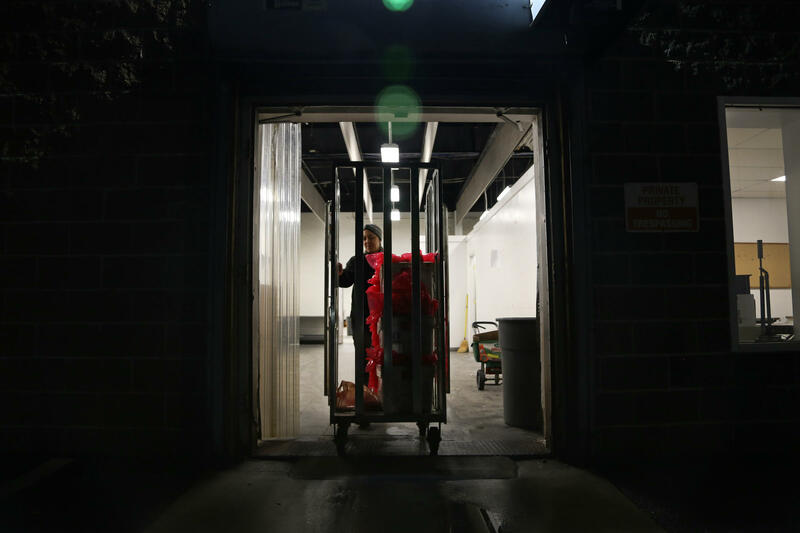 Jenni Broskey is bundled in a black hoodie at the back of a chilly warehouse on Pittsburgh’s North Side. 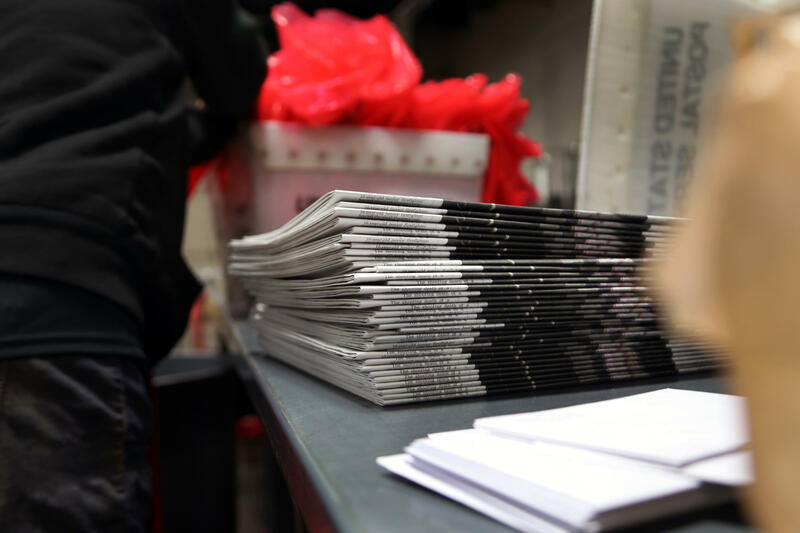 She’s folding and bagging more than 200 newspapers, and she’s about to lose her job. 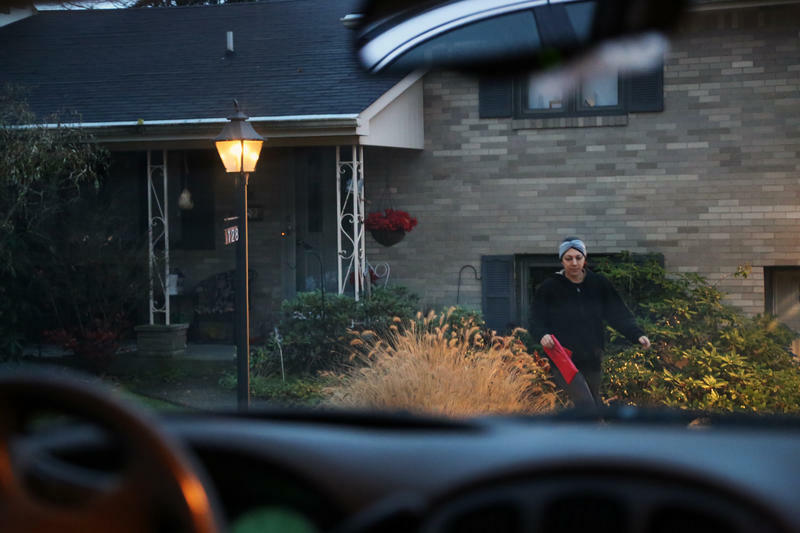 Broskey is one of several contracted newspaper carriers who Wednesday morning delivered the last printed edition of the Pittsburgh Tribune-Review. 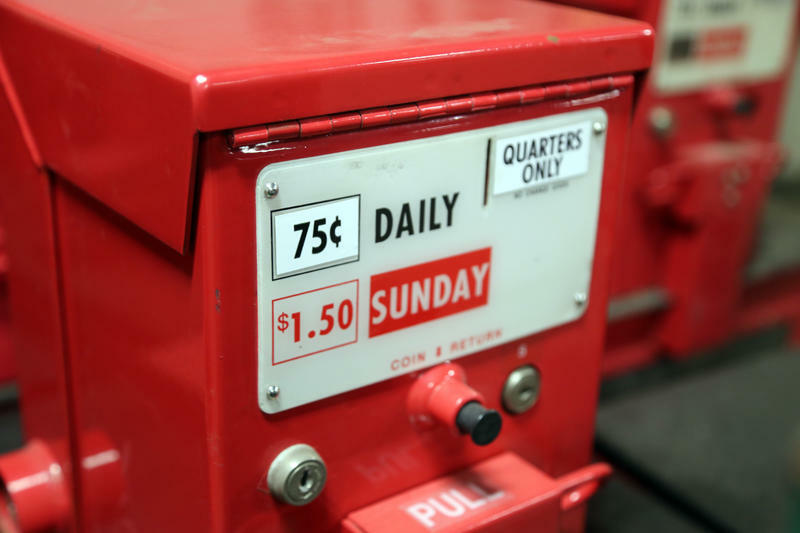 The newspaper’s founder, billionaire Richard Mellon Scaife, died in 2014. 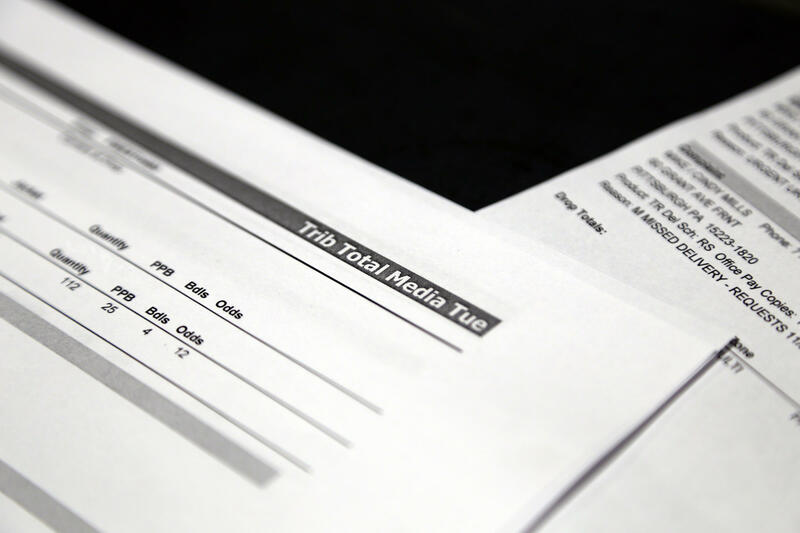 Since then, parent company Trib Total Media executives have offered two rounds of buyouts and layoffs, sold off smaller papers and real estate and restructured remaining staffers to trim millions in annual operating costs. That’s meant some tough choices for top brass, new and old. 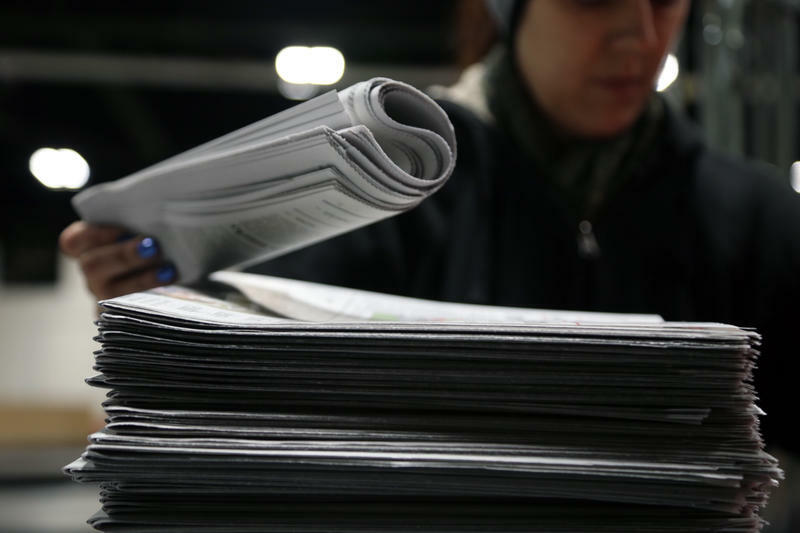 Trib Total Media CEO Jennifer Bertetto said in September that existing staff had been sliced from 1,100 in 2015 to less than half that this summer, and those figures do not reflect the latest round of 96 buyouts and 106 layoffs that took effect this week. 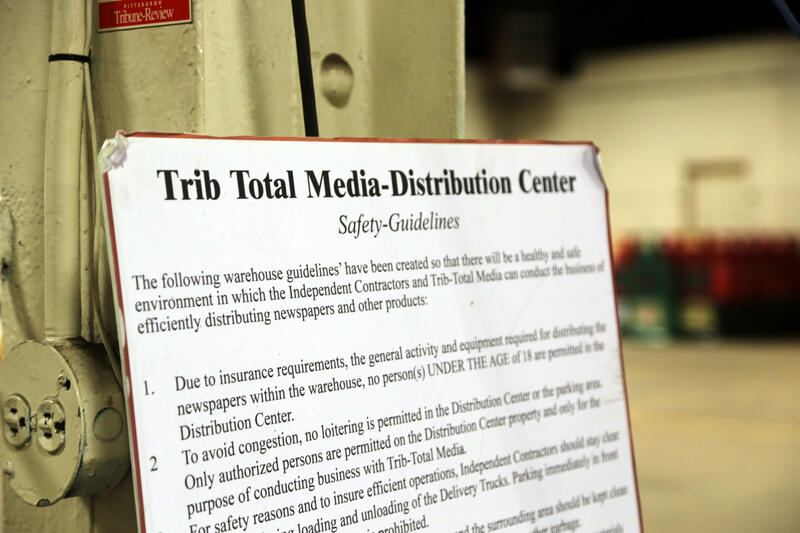 Marketing Director Lindsay Berdell said in an email she's "unable to release (current) headcount numbers," but Executive Editor Luis Fabregas said several former Pittsburgh employees will remain with the company at sister offices with the Greensburg Trib and the Valley News Dispatch. Both are expected to expand, if only slightly, in the wake of Pittsburgh's move to an all-digital platform. That's left the company's Pittsburgh office -- helmed since August by Fabregas, a longtime medical writer, editor and columnist -- with a mandate to fill the paper's pages through this week with a continually reduced staff. Fabregas said his remaining North Shore editorial group -- about 115 people now, including news, sports, multimedia and design -- has been buzzing as Wednesday's final print issue approached and a more refined digital product took shape. They won't be competing with the Pittsburgh Post-Gazette to be the newspaper of record anymore, he says, and there's freedom in that. 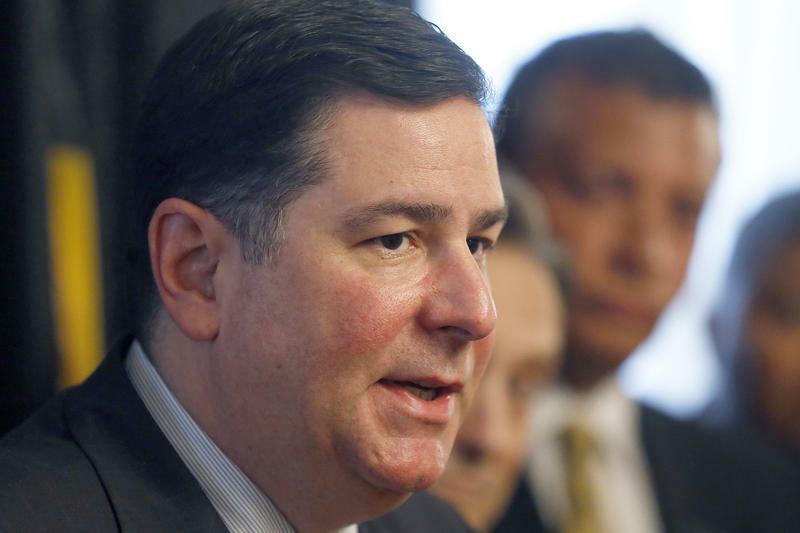 "Our readers have an expectation that we will cover the news that matters," he said Tuesday. "We will continue to produce original reporting; we’ll continue to be a watchdog of government, businesses and nonprofits. That has helped really energize our team, because we have a really determined group of journalists who will continue to be really aggressive, and they’ll continue to embrace that competitive spirit that’s really distinguished us over the past several decades." But for dozens of reporters, editors, press personnel and delivery drivers, Wednesday is their last official day on the clock. “I’m actually surprised my delivery list didn't dwindle more toward the end here,” Broskey says, pushing aside old soda bottles and empty packs of Pall Malls to make room for three crates of papers in the passenger seat of her 2003 Chrysler Town & Country. She's always been a steady coffee drinker, she says. 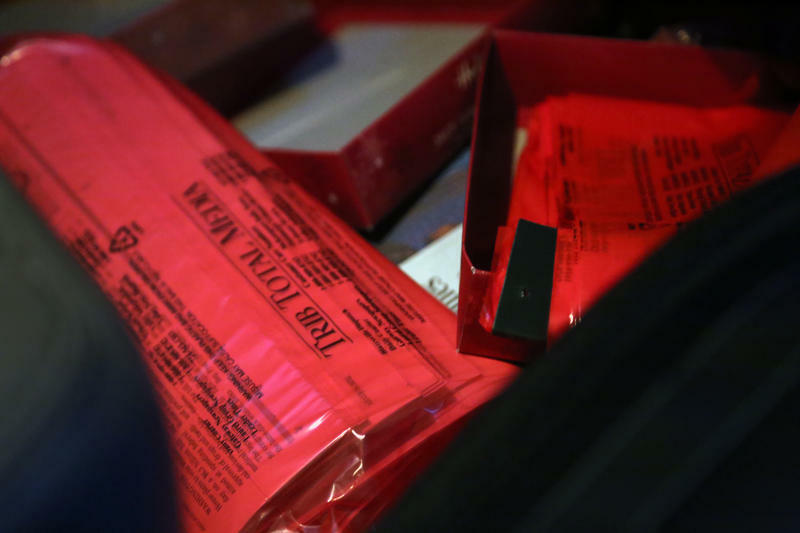 Broskey and most fellow Western Avenue drivers arrive around 2 a.m., right about the time delivery trucks from the Trib's Marshall Township printing press arrive with thousands of bundled papers. It's the drivers' responsibility to fold and bag each one. If it's raining, they double bag. If it's just dewy, they might tie them off like balloons. It can be time consuming, Broskey says. But for a former nail technician looking for a way to stay home with her three children, delivering the day's news was a convenient gig. Sort of mindless, but easy, and she likes the quiet. "You have time to think. That's what I like about the middle-of-the-night hours," she says. "I don't get very much quiet." Some customers request a porch dropoff. For others, she challenges herself with an arbitrary target -- the porch or door -- something convenient to the customer, and tries to get as close as she can. Throws are harder when the papers are heavy. Harder when they’re double bagged. Harder when it’s windy or raining. “I try really hard, and sometimes it gets to that top step or flops to the ground or something goofy and I’m like, 'Aw man, almost! '” she says. Broskey flicks a paper out the window, and it lands in someone's curbside recycling bin. She laughs, pulls the car over, and retrieves it. 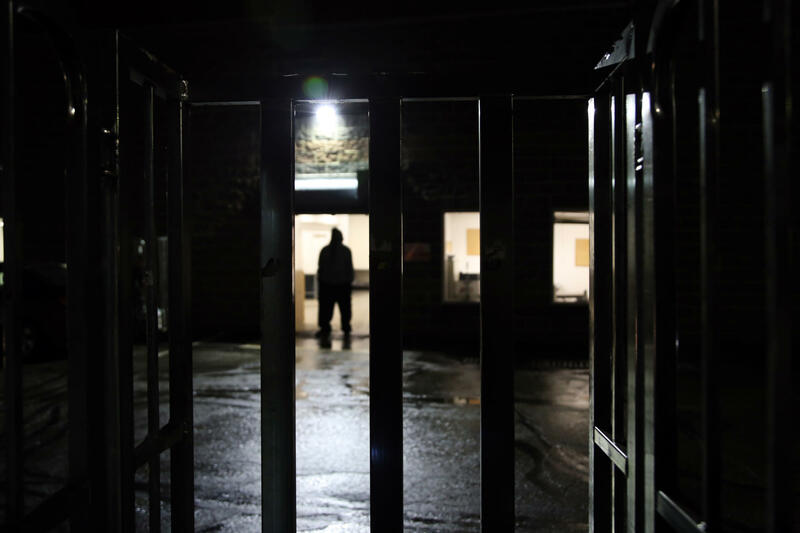 The hulking van barrels in the dark between narrow, porch-lit alleyways and steep one-way roads. She misses side mirrors by inches and drives in reverse full football field lengths at a time, often disregarding stop signs and rarely flicking a turn signal. She’s learned to take in the neighborhoods as the rest of the city sleeps. She notes cars that come and go, changes in landscaping or home maintenance. There’s a stretch of Etna she swears smells like a skunk in the summertime. A hilltop in West View perched just above a McDonald's makes her stomach rumble. Rabbits are everywhere. So are the garbage men. 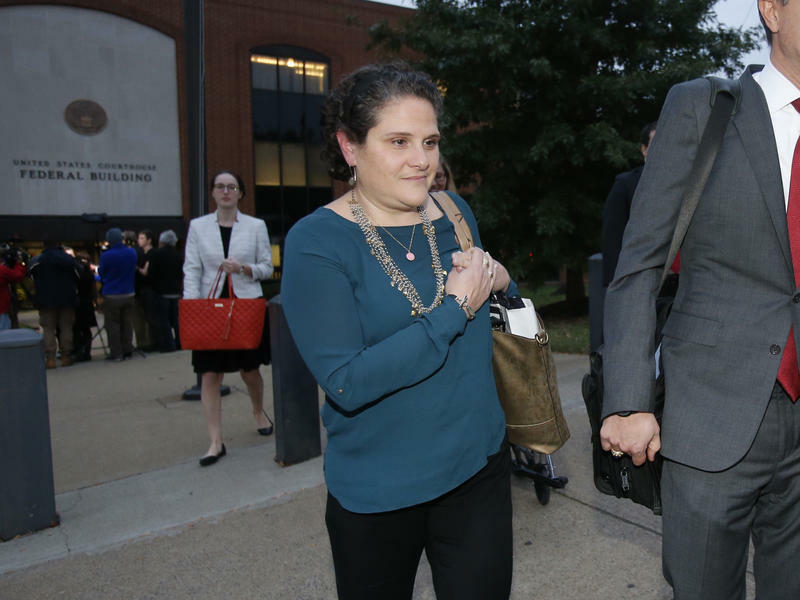 Broskey makes her living per newspaper. And those plastic bags? She has to pay for them. As automatic subscription renewals were cut – you can’t subscribe to a print product that doesn’t exist anymore – her invoices also suffered. She used to drive a route just in Etna where her folks are from, but picked up a second route in West View six weeks ago when a fellow driver quit. 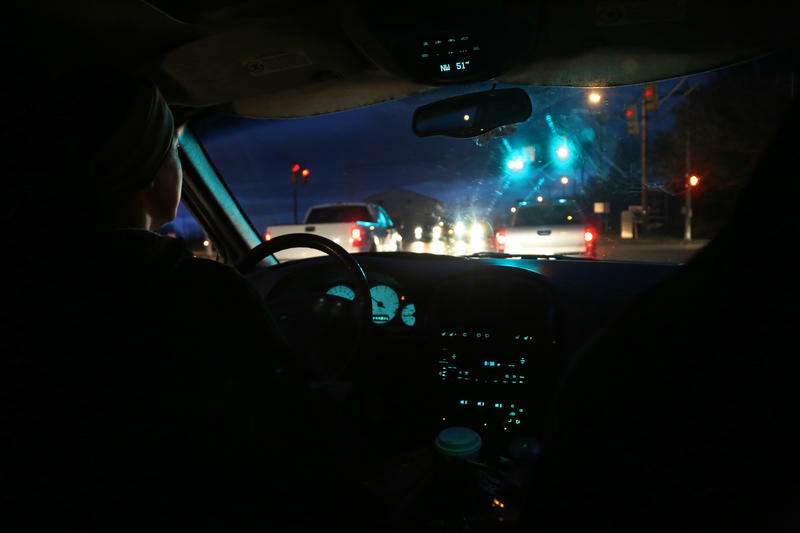 Broskey says it’s hard to get to that many homes before daylight, but if she hadn’t accepted the extra route, the paper would've been canceled early for those subscribers. They don’t know that, of course, and she gets docked every time a subscriber complains. Many are older; they don’t fiddle with the internet on any platform, and they’re upset they won’t receive a newspaper anymore. She turns a corner and hears her foe before its headlights come into view. And tonight, for the first time in a year, she gets to sleep in. 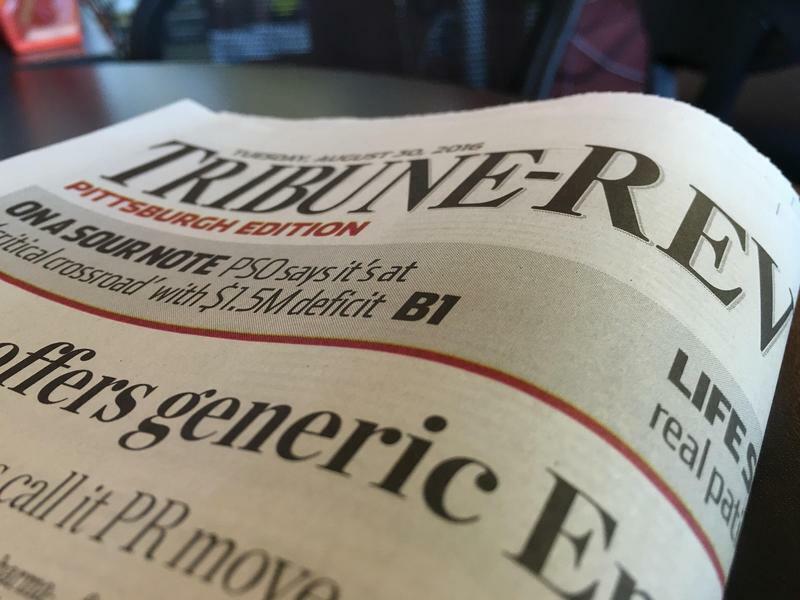 The Pittsburgh Tribune-Review will produce its last print edition and become a free, digital-only publication, the paper’s parent company announced Wednesday. Print operations will cease Nov. 30. The company's Pittsburgh newsroom will continue publication online from its North Shore offices led by senior editors Luis Fabregas, Jeremy Boren and Rob Amen. 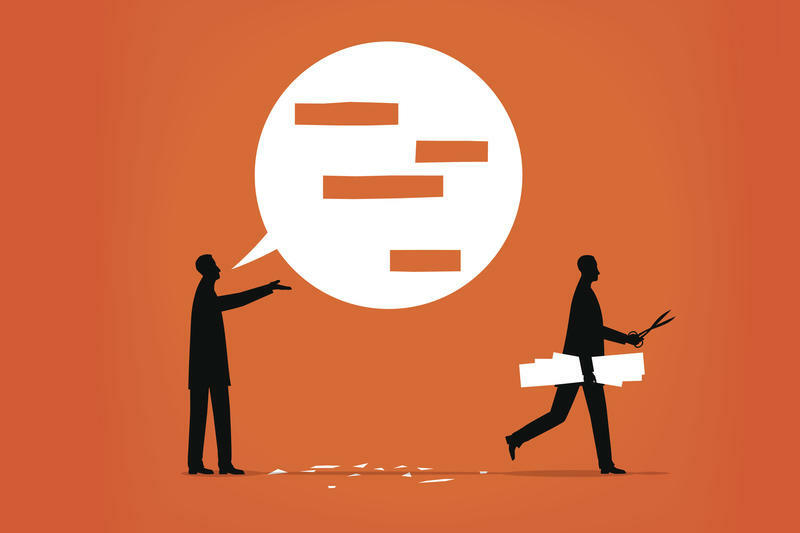 Trib Total Media’s shift toward a digital-only model is playing out amid a larger narrative of an entire industry in transition. 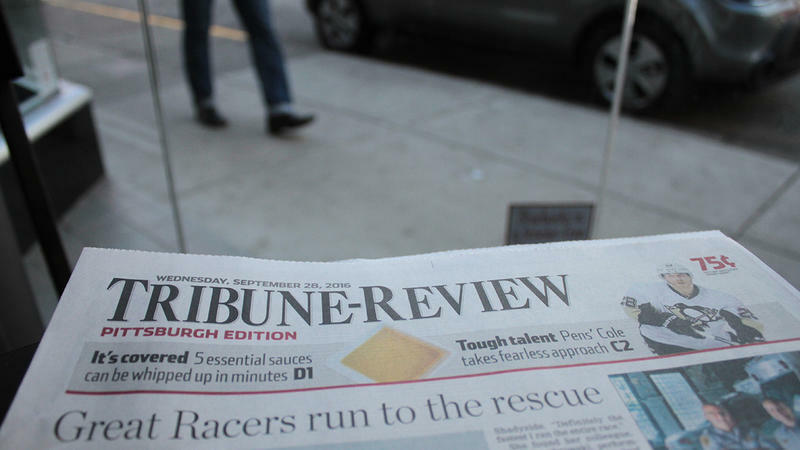 Two top editors of the Tribune-Review in Pittsburgh have announced they are retiring, and a third tendered his resignation. Trib Total Media officials said Monday that executive editor Frank Craig and managing editor Jim Cuddy are stepping down immediately. Deputy managing editor for sports Duke Maas is also leaving. Craig, 62, became the Tribune-Review editor in 2000. He was previously an assistant managing editor at The Blade in Toledo, Ohio. When Barack Obama campaigned in 2008 and 2012, some credited his success, at least in part, to his use of Twitter. This election, the short-length video platform Snapchat, first released in 2011, could help tip the scales for Democratic presidential candidate Hillary Clinton and Republican candidate Donald Trump.